For one of the best known winemakers in Australia and New Zealand, David Hohnen is a remarkably relaxed and low-key character. As we sat sipping a beer before he presented a tasting dinner with his wines to a packed dining room at Glasgow’s Ubiquitous Chip restaurant, he digressed into a number of subjects other than his new wine venture, McHenry Hohnen Wines. David came to fame in the 1970s when he set up Cape Mentelle Vineyards in Western Australia, taking over part of the family’s grazing land to plant vines. Cape Mentelle was one of the founding pioneers of the Margaret River region, but David’s success was cemented in 1985 when he established a second winery in Marlborough, New Zealand with partner Kevin Judd that went on to become one of the wine world’s most iconic names: Cloudy Bay. The French company Luis Vuitton Moët Hennessy (LVMH) took a share in both wineries in 1990, with David continuing as Chief Executive until he retired in 2003. 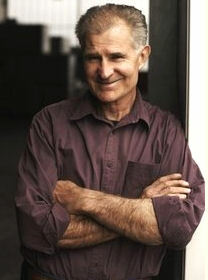 At that time he expressed an interest in leading a quieter life as a farmer and winemaker back in Margaret river. The quiet life didn’t last too long. 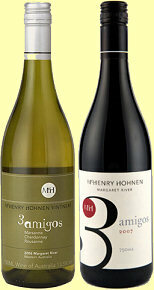 In 2006, David and his brother-in-law, Murray McHenry, launched McHenry Hohnen Wines, the family affair being completed when David’s daughter Freya also joined the company as winemaker. In fact, David cites his daughter as the inspiration for him stepping down from Cape Mentelle and Cloudy Bay: “I just believed so much in my daughter’s talent,” he told me. McHenry Hohnen farms four vineyards and grows eighteen varieties that reflect Margaret River’s heritage, being mostly Bordeaux varieties like Semillon, Sauvignon Blanc, Malbec, Merlot, Cabernet Sauvignon and Petit Verdot. “I’m from Margaret River, and I want to tell the story of Margaret River through the wines,” he tells me. David now comes to the UK twice per year, picks up a railcard for himself, and spends a couple of weeks travelling by train to visit all 15 of his regional distributors. “It’s the only way to do it at this stage of the game,” he says. At the Glasgow dinner David barely touches his food as he constantly circles the dining room, joining tables with a glass of something in hand to discuss his wines with his consumers and find out what they make of them. He is keen to hear each opinion, and clearly is a guiding light for the company. “Freya’s in charge of the winemaking,” he tells me. “I want to take a step back. I’m not a scientist, I’m a sheep farmer.” That is, of course, a little disingenuous from this somewhat shy man. “I’m now passing on my knowledge to the younger generation,” he concedes. Before the McHenry Hohnen wines, the evening kicked off with a glass of Cloudy Bay’s sparkling wine ‘Pelorus’. David created this wine in 1987, two years after Cloudy Bay’s Sauvignon Blanc was launched, because he believed the cool Marlborough region would make great Sparkling wine. Soon after LVMH took the company over, and the sharing of the winemaking and technology between NZ and France was successful.